by Sylvia J.T. Jansen, et al. 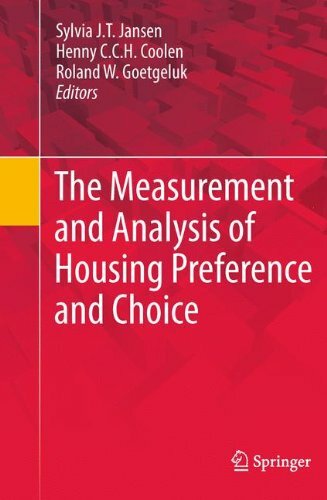 Researchers are faced with a wide variety of methods that measure housing preferences and choices. To select and value a valid research method, one needs a well-structured overview of the methods that are used in housing preference and housing choice research. This comprehensive introduction to this field offers just such an overview. The original author of the present Atlas is Samuel Butler, in his way a famous geographer. The work was at a later date twice revised, and its maps were re-drawn. It has now been again revised and enlarged to suit the special needs of this series.